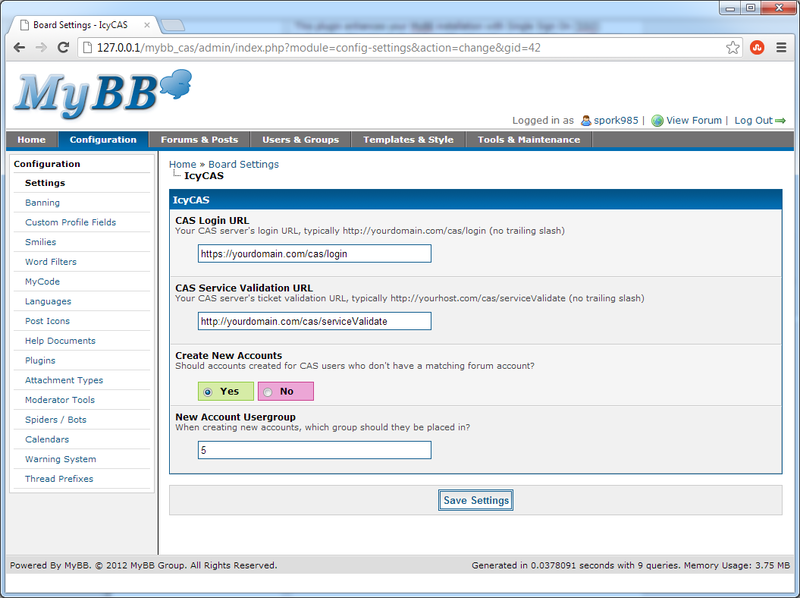 Easily integrate your MyBB forum with a CAS Authentication Server. 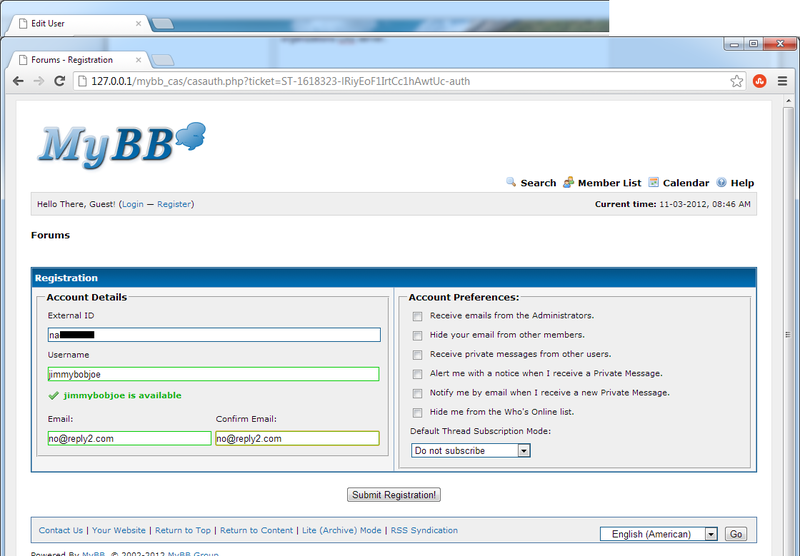 This plugin enhances your MyBB installation with Single Sign On (SSO) technology. 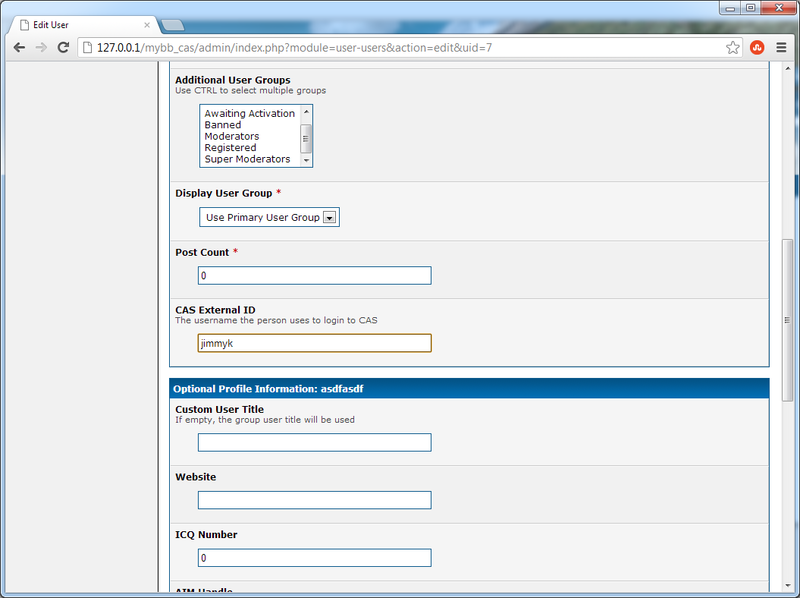 You can easily and quickly integrate your MyBB forum with your organizations CAS server. Existing users can continue to log in using their MyBB credentials, or the administrator can add their external identifier to their profile, allowing them to log in via CAS. 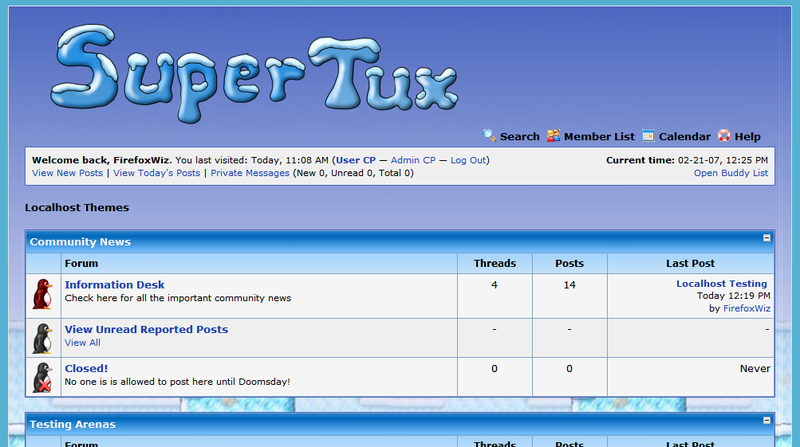 New members can create their account by simply entering a username and email address. 2) Edit the "header_welcomeblock_guest" template and add a link to http://yourdomain.com/casauth.php for the CAS login page.